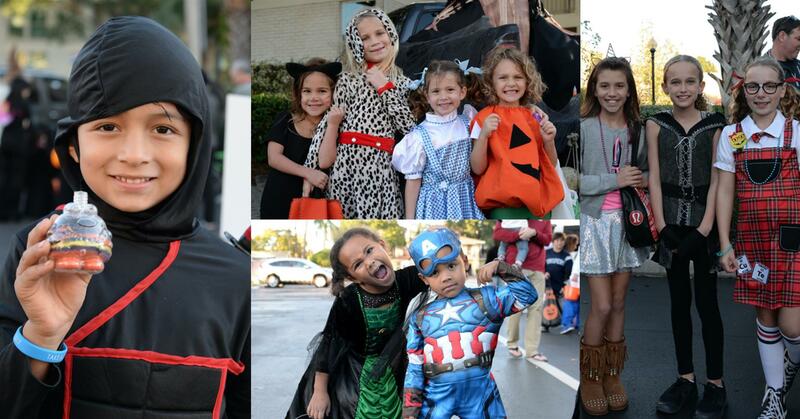 This Sunday, October 28th, is one of Academy's favorite traditions, the annual Trunk-or-Treat event! Bring your families and friends from 5:00-6:45 p.m. for a night full of food, music, a Haunted Basement, Halloween-themed games, performances from AHN's Jaguarettes, and plenty of trunks to Trunk-or-Treat from. We have a limited number of spots remaining for families who'd like to decorate their trunks. If you would like to participate in the tradition and help pass out candy, please click here for additional information. Registration is due tomorrow. We hope to see you there. The Academy is Gaining Momentum! The PAF provides the Academy the ability to meet the needs of its students. 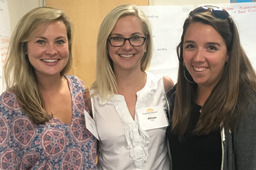 This includes professional development opportunities to ensure continued academic excellence. Last year, the Academy spent over $90,000 on professional development. Please consider supporting the PAF today at a level most comfortable for your family. No matter the size, your gift is an investment in our students and for that we are grateful! You are invited to join us in the Brady Center for an all-school All Saints Day mass on Thursday, November 1st at 8:00 a.m. Mass will be followed with a Coffee Talk presentation in the Skyes Innovation Lab at 9:00 a.m., introducing the upcoming renovation plans for the high school. Click here to RSVP. Help us fill this truck (and a box truck and a bus!) 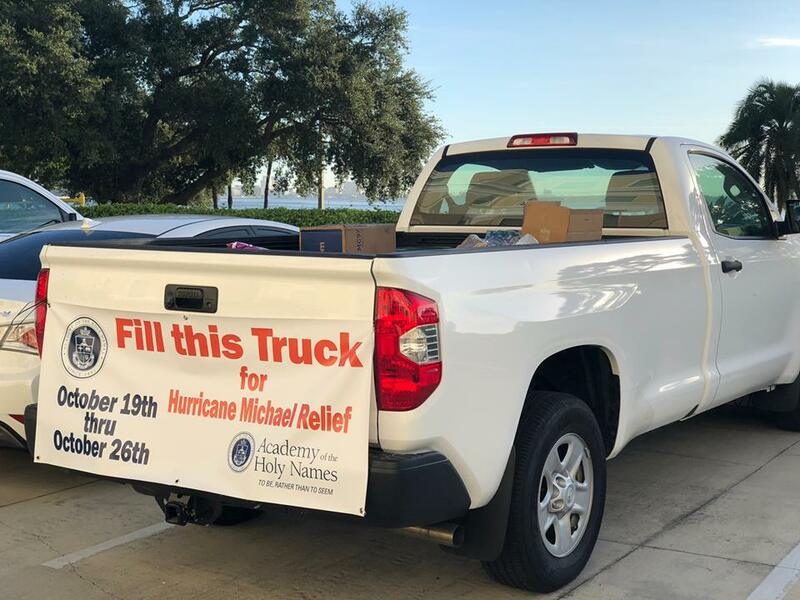 with supplies for victims of Hurricane Michael. 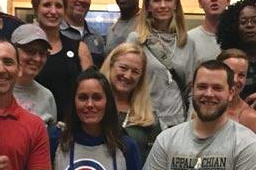 AHN has a team heading to the Panhandle Friday to deliver supplies and volunteer with cleanup. 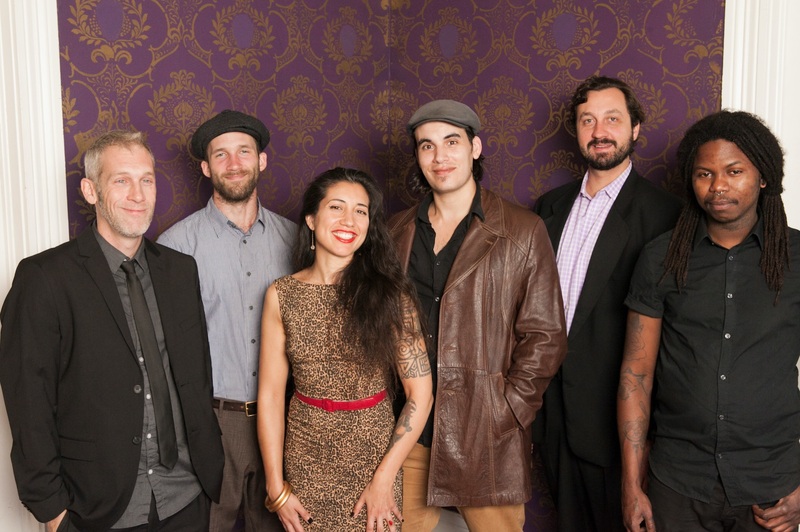 For a complete list of suggested donations, please visit our website. Yesterday, middle school students had the opportunity to volunteer in partnership with Campus Ministry and the Helping Hands Service Club. 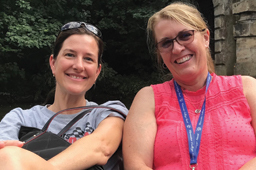 They packed bags for an upcoming charity race hosted by High Risk Hope, an organization that provides support, encouragement, information and resources to women and families who are experiencing a high risk pregnancy. 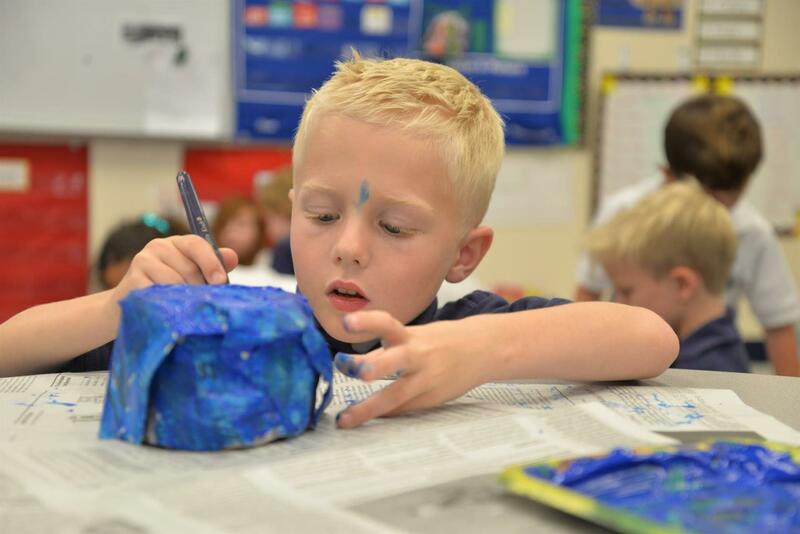 During kindergarten's science lesson on paper, students investigated how to make paper strong enough to make a bowl using the Paper Mâché technique. They dipped strips of newsprint into a paste mixture and layered them over a mold. After the mold dried, they removed the bowl and painted it. The Academy of the Holy Names would like to invite our fall athletes and their immediate family members to join us at 6:30 p.m. on Monday, November 12th, in the Brady Center to celebrate the accomplishments of our High School fall athletic season. The banquet is free of charge, but will require those planning on attending to RSVP here by 10:00 a.m. on Tuesday, November 6th. There will be a high school tennis meeting for all students who are interested in trying out for the tennis team this spring on Thursday, November 8th. The meeting will be held in room N204 and will run from 3:30-4:00 p.m. Please feel free to contact Coach Quinn with any questions. 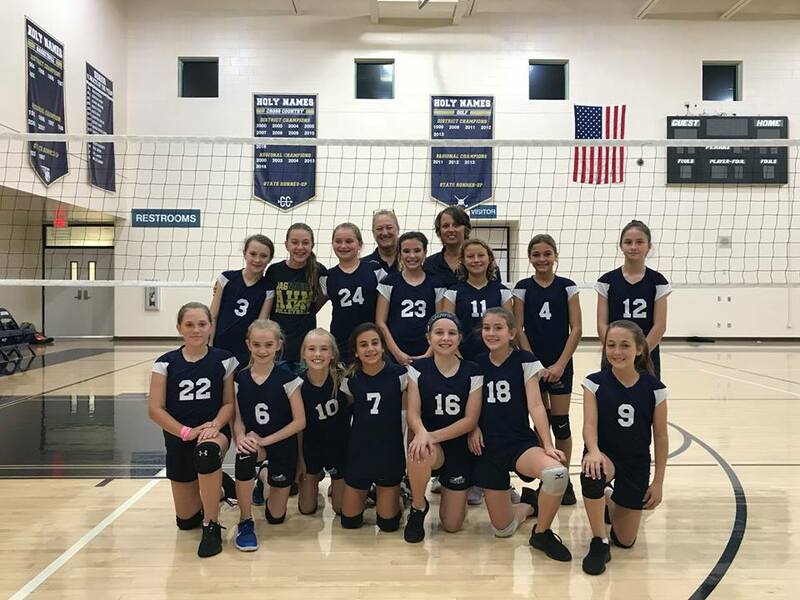 MS Volleyball Finishes Season Undefeated! AHN's middle school JV volleyball team wrapped up their season this afternoon with an undefeated 10-0 record! Congratulations! Congratulations to the High School golf team on a great season. 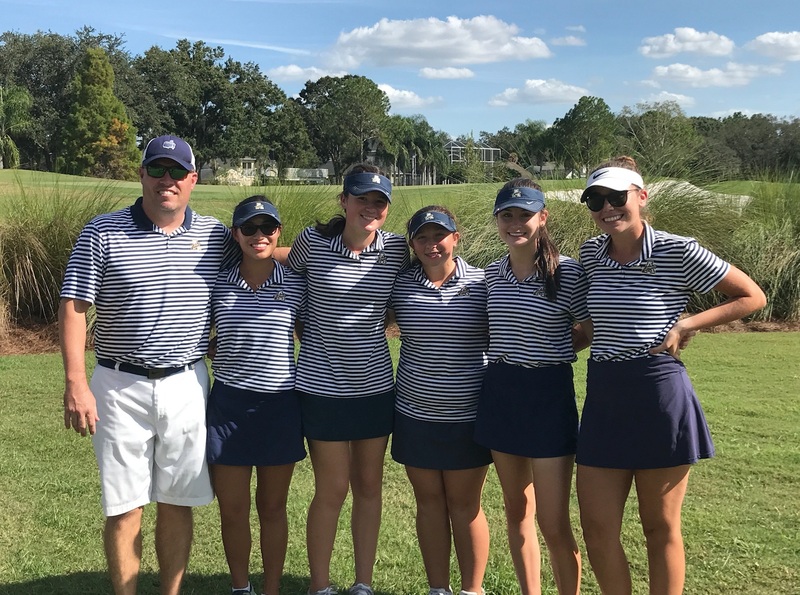 The team placed 3rd at regionals, ending a stellar season, however Georgia R. '19 earned the title of individual region runner-up and advances to next week's state tournament. On Thursday, November 1st, Advanced Acting Honors students will be performing "BAGS" by Anne V. McGravie at 7:00 p.m. On Friday, November 2nd, the Advanced Acting students will be performing "The Girl Who Was Asked to Turn Blue" by Ev Miller. Both One Act shows start at 7:00 p.m. and are open seating. 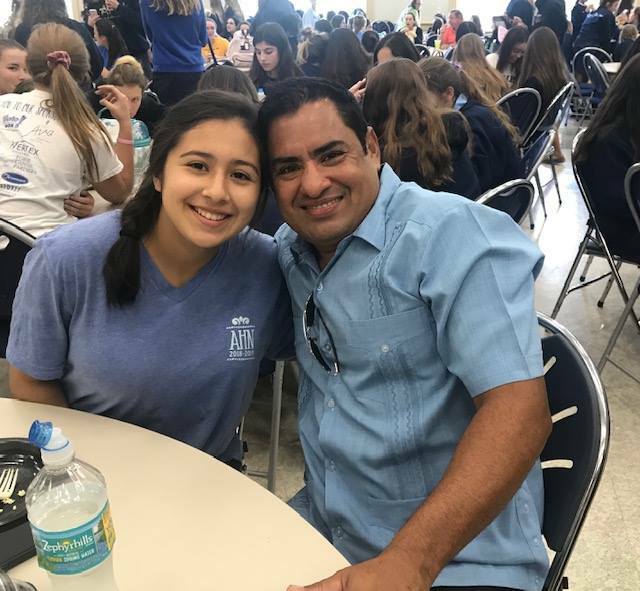 Thanks to the Academy of the Holy Names Dads Club for organizing a father-daughter lunch! Great Friday treat for our high school girls and their dads. No tricks here! 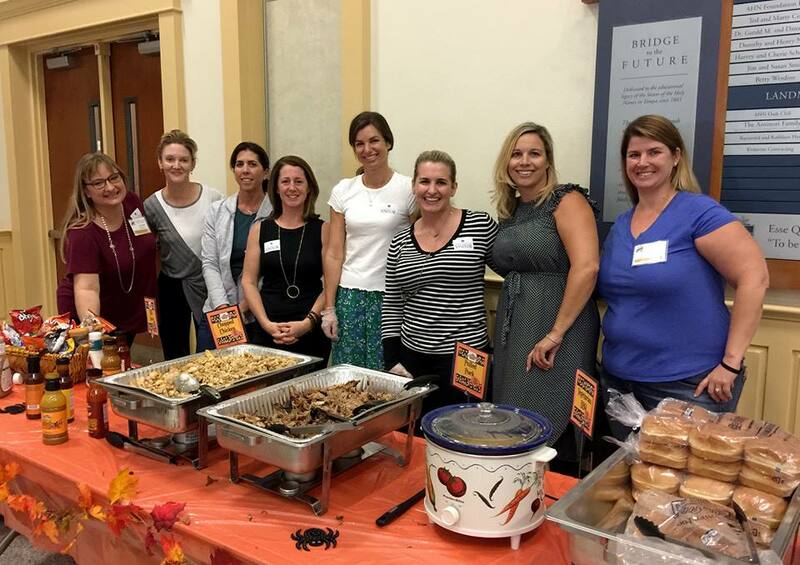 The Mothers Association treated AHN's faculty and staff to a spooktacular lunch and raffle giveaway. Thank you, moms! -All-School All Saints Day Mass, 8:00 a.m.